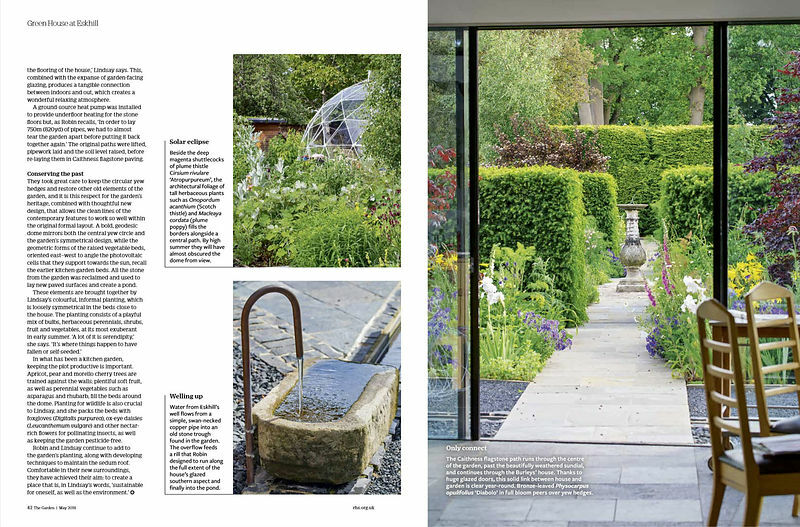 Pleased with our spread in May 2018 issue of The Garden, magazine of the RHS. 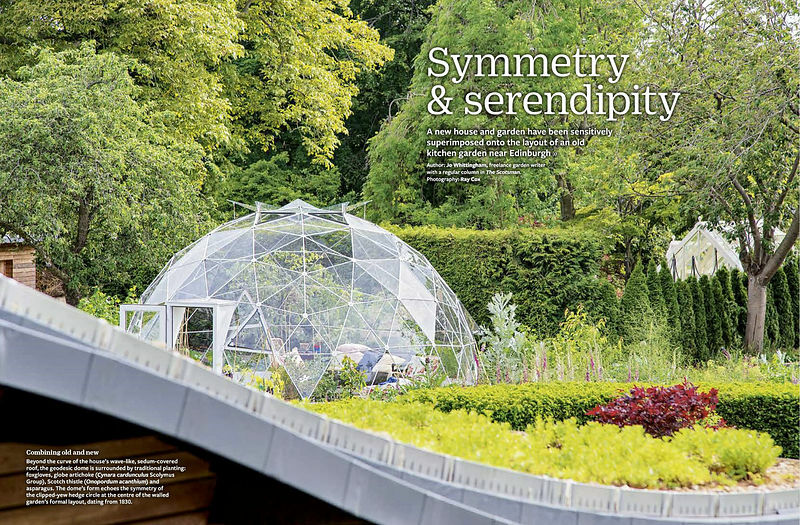 Green House at Eskhill - a real refreshing surprise to find this contemporary house and garden in amongst the period buildings of the beautifully preserved Inveresk Village. 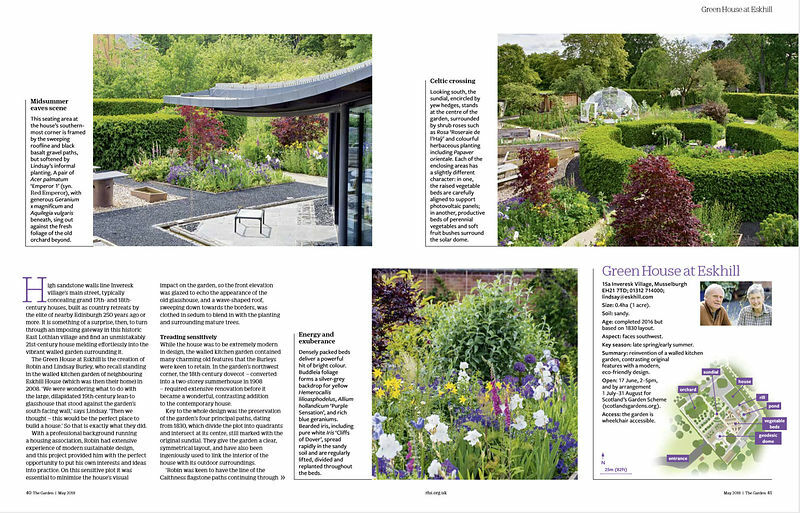 Opens under Inveresk Village under Scotland's Gardens on 17 June and by arrangement 1 July to 31 August.